The sponsor for Day 13 was Technique Tuesday. I don’t have many of their stamps but I do have a Christmas set, Twinkle On, which I bought many years ago in Archivers while on a work trip to the USA! I loved how Jill Dewey Hawkins used patterned paper for her tag base, so I just had to use that for my inspiration! I stamped the small fairy lights image from the set multiple times across the tag base and then coloured it with my Twinkling H2Os before adding a bold sentiment from the same set. The sponsor for Day 19 was Technique Tuesday – they have some wonderful stamps and dies! 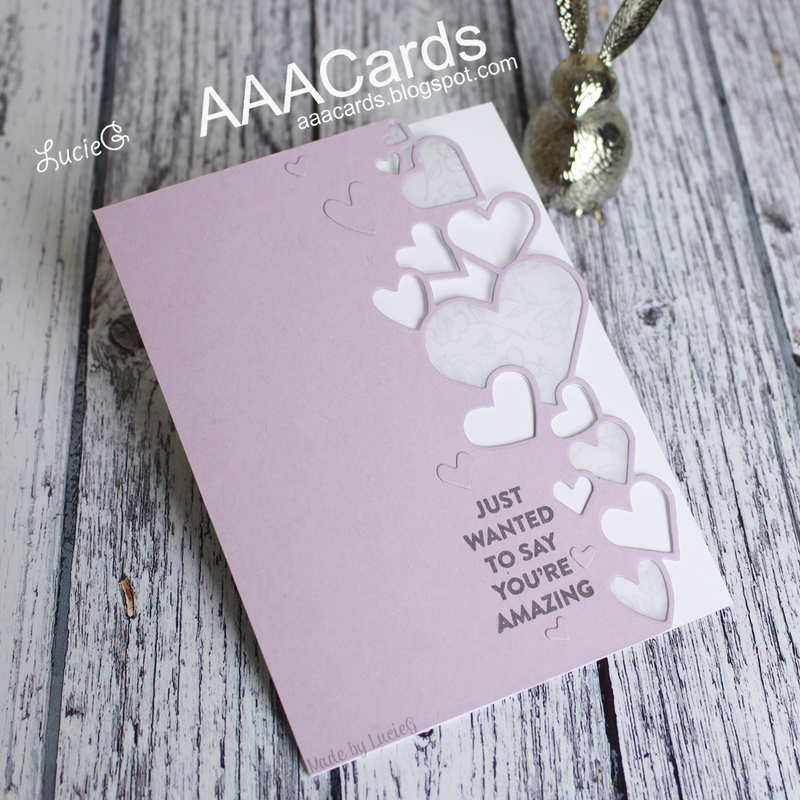 I particularly love some of their sentiment sets and so I decided to use one of my favourite sentiments from an older TT set that I haven’t used for quite a while. I loved Jill Dewey Hawkins’ pink/mint tag – so simple but effective and this is my take. It was fun to create with non-traditional colours! I have the honour of being a guest designer over at the Less is More challenge blog this week. The theme is ‘personalise it’ and here is the card I made for my DJ brother using dies from Technique Tuesday and My Favourite Things. I created the personalised sentiment using good ol’ MS Word and the Bradley Hand Font, which I love to use for my personalised cards! The design team have created some wonderful cards for this challenge over at the Less is More blog – I hope you have a chance to check them out and join in the challenge! When I saw Barb’s guest post for Technique Tuesday a few weeks ago, I just HAD to have the sweet owl stamp. It landed on my doormat yesterday and I inked it up straight away! I coloured it using my Twinkling H2Os and added a touch of Nuvo Aqua Glimmer Gloss for extra shimmer. I then masked off the image and used a stencil from The Crafter’s Workshop to anchor the little owl. Finally I added a cute sentiment from My Favorite Things.